Naturally aspirated or the conventional turbocharged, they both have something to digest for the passion of road. In 2016 we came across some massively performing machines. Beautifully outfit, lush interior, and speedy cars were encountered last year. We made them run over all kind of terrains. Whether it was dirt, countryside, streets or tracks, everywhere.The results of performance obtained from all the terrains helped us to analyze which cars were the best. Similarly, for the present year, 2017, we got plenty of cruisers, family rides, and performance cars to test. Out of them, we picked the best 10 cars. And listed them out as the Top 10 V6 Cars 2017. Let’s go down and check them out. Italy is the home of performance cars. You need muscle, coupe, roadster or sedan, with high speed performing capabilities, then Italian automobile manufacturers have everything for you. Alfa Romeo Giulia Quadrifoglio is here direct from Italy to show her capabilities. 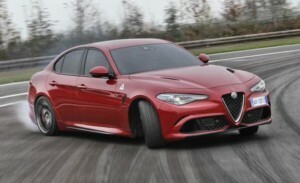 Indeed Giulia Quarifoglio is a luxury car, as like the other cars from Alfa Romeo, but she even is a performance machine. Giulia Quadrifoglio is powered by Ferrari’s 2.9 L twin-turbo V6 engine that makes 505 hp. She makes the 0 – 62 mph run in 3.6 seconds and her track best is 191 mph. Someone from Europe with a present of scents is admirable. Getting more précised, someone from Germany, with the present of a performance ride, is something more than admirable. 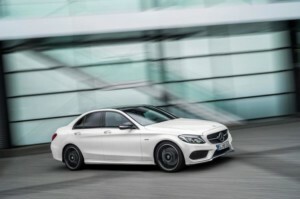 This is how the Mercedes Benz AMG C43 make others stare at it. It is full of luxury and comfort that you won’t plan to get out of it. But that is not just all. It even has a 3.0 L bi-turbo AMG enhance V6 engine with 362 horses that make the 0 – 62 mph run in 4.6 seconds. How does this sound? Indeed C43 is certainly the most elegant in its class. Germans were once the pioneer of war machines. But now, they are the pioneers of performing cars. Whatever you pick from Germany would ensure performance. Audi, the diva-maker, is not even behind in the race of performing rides. 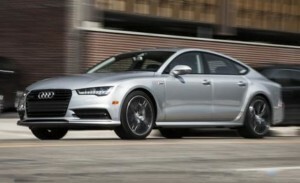 Audi’s A7 is capable of dropping the jaws of spectators. Though it’s a class apart in terms of its shape and comfort, but it even is speed-star. The 3.0 L V6 TFSI engine is A7 is capable of reaching 130 mph. It takes 4.7 seconds in Audi A7 to reach the 0 – 62 mph mark. The German SUVs even have the ability to take a quick round of the track. The Audi Q7, a mid-size SUV makes 0-62 mph within 5.5 seconds. The Q7 is equipped with a 3.0 L supercharged V6 engine which makes 333 hp. Q7’s track best is 128 mph. 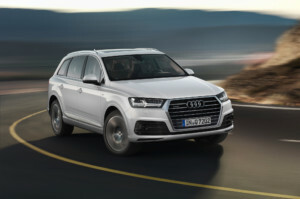 The SUV-ing capabilities of Q7 are even enhanced with the application of the supercharged V6. This SUV can tow around 6,500 pounds of weight. And not just that, it is even full of features and interior comforts. A full-size luxury sedan for less than $35,000! How does this sound? 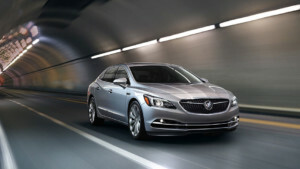 Buick made this possible with its LaCrosse. It’s a decently designed car with an appropriately appointed interior, having a luxury appeal. Besides luxury, the LaCrosse has a 310 hp 3.6 L V6 engine. This engine makes a 0 – 62 mph run in just 5.8 seconds with a top speed of 141 mph. So how does it sounds to get a luxury performance ride for less than $35,000? Besides the muscular powertrain, American even have the expertise to create performing cars. There are too many examples to consider and even we have one. 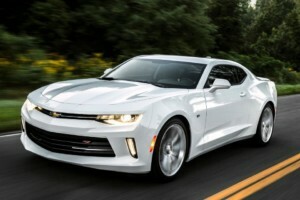 That is the Chevrolet Camaro. Well, this baby has got a 3.6 L V6 engine, which has some traces of the muscular rides. This 335 hp engine makes the 0-62 mph run in 4.1 seconds. Indeed, it’s not the fastest in its class, but its top speed of 165 mph makes it stand at a good rank. Besides performance, we even don’t compromise with the appearance and interior of the ride. And that’s where Camaro makes us realize that she definitely lies among the best. Americans are the experts of muscle car manufacturing. It has been long since they have been in this business. 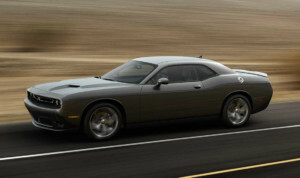 The Dodge Challenger SXT is capable of taking all challenges. It is powered by a 3.6 L Pentastar® V6 engine which makes 305 hp @ 268 lb – ft of torque. This muscle has the ability to reach the 0 – 62 mph mark in no more than 6 seconds. A heavy engine coolant and stabilizer are standard in Dodge Challenger SXT. Her track record is of 176 mph. She is a muscle that can boost up to a mind-blowing performance. Don’t underestimate her. She has all the guts needed to drift. How can we miss Japan out when we are calibrating the best V6 cars of 2017? 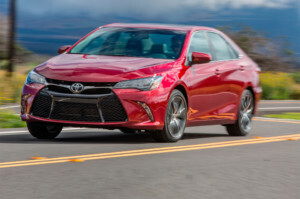 The Toyota brings in the Camry XSE with a V6 engine. The 268 hp 3.5 L makes 0-62 mph in 6.1 seconds with a top speed of 129 mph. Camry is designed more like a family ride, rather than a performance car. It’s pretty decent in shape and looks quite elegant. Is in it essential that the family cars should not run fast? Definitely not. 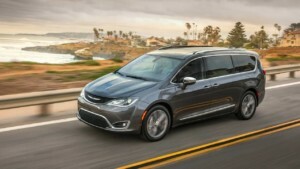 The Chrysler Pacifica, a minivan, has a 3.6 L DOHC V6 engine. Previously Pacifica was not that sharp to run through the green light turning red. But now, she has the guts to do that. The sixth generation Pacifica makes 0 – 62 mph run in 7.3 seconds with a top speed of 112 mph, which has electronically limited. Indeed it’s a family ride – though it is necessary to stop her from flying. Americans are not just the experts in manufacturing muscle and performance cars. They even have the expertise of creating SUVs. And indeed they have the ability to create performing SUVs. There had been a number of American performing Sport-Utility-Vehicles in the past. And so did we have for the present year. 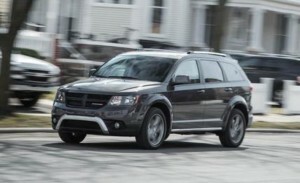 The Dodge Journey, with the all – wheel – drive configuration has the 3.6 L Pentastar® V6 Engine. This engine is capable of generating 283 hp of power @ 260 lb – ft of torque. Journey makes the 0 – 62 mph round in 7.8 seconds and its top speed is 118 mph. This V6 has got something, even more, to do in Journey. This machine makes this car to tow up to 6,500 lbs of weight. This selection is based on performance, comfort and ease to drive.